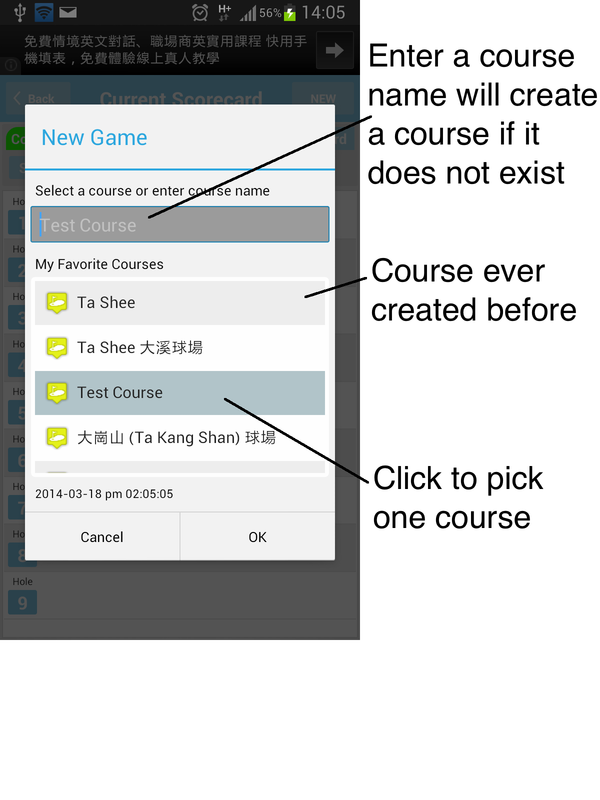 What's New (Version 1.4.5, 2014/08/09)Improve Main screen. Scorecard (both current and historical) screen UI enhancement. My Favorite Courses screen UI enhancement.Enhance Setting option.Stableford screen bug fixed. 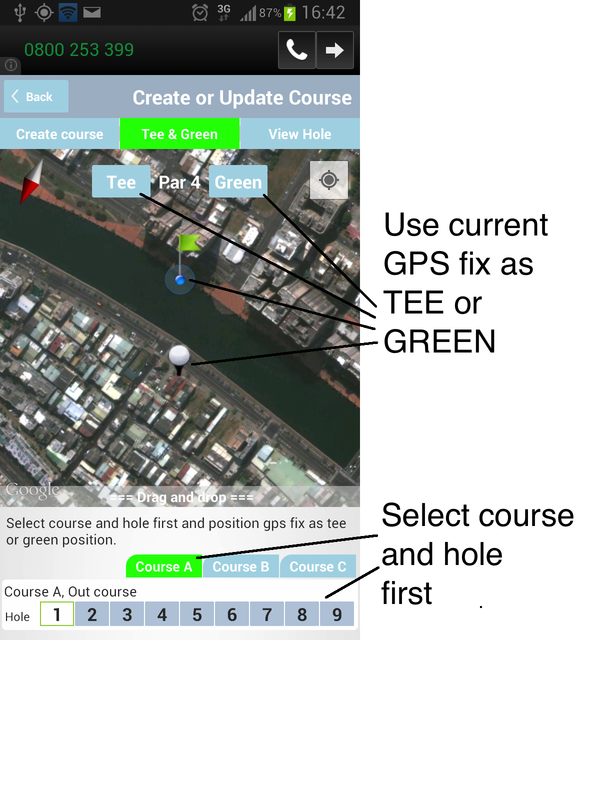 Enable Map-mode, canEnable camera mode(back or front camera) to take picture.Record current ball position(shot path) to review on MAP-SCREEN later. 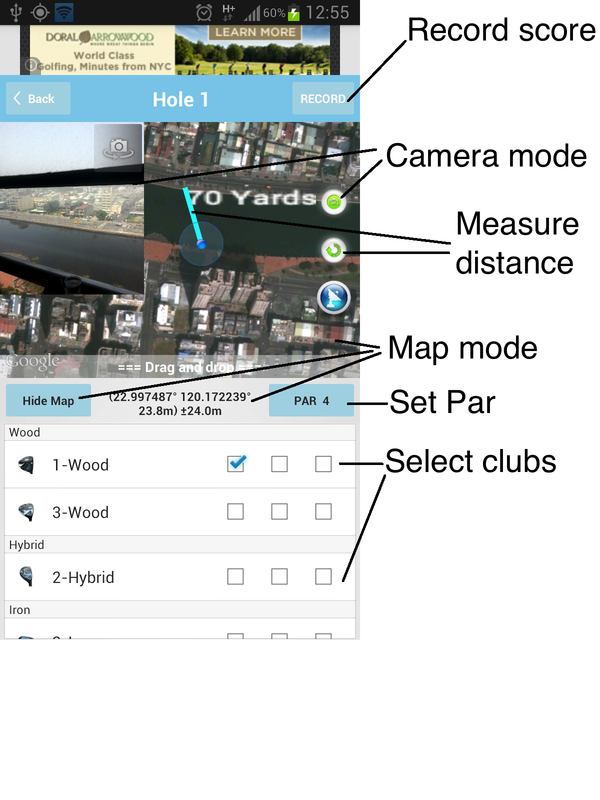 Measure distance between current GPS fix and where you tap on the map.Record score and club used.Non-map-modeOnly record score and club used. 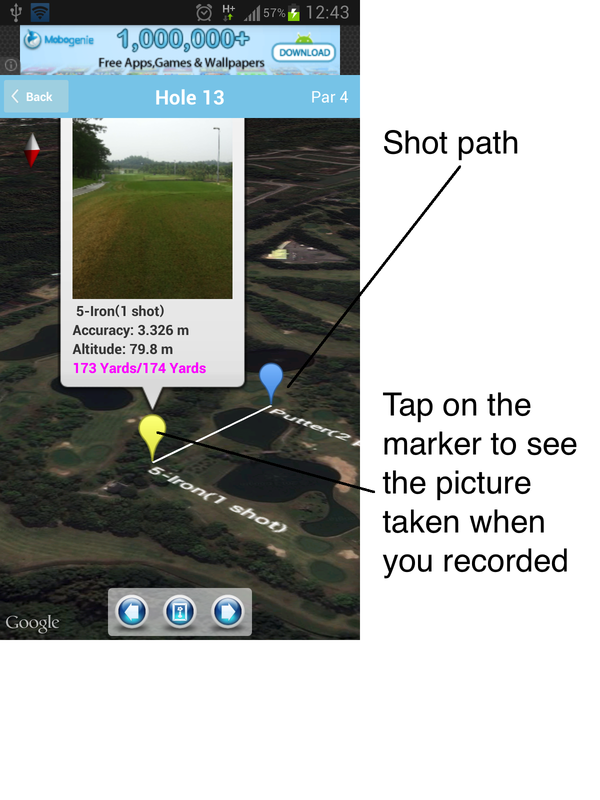 Delete So far, only under Map-mode can delete shots recorded under map-mode.Tap on the shot marker to delete it. 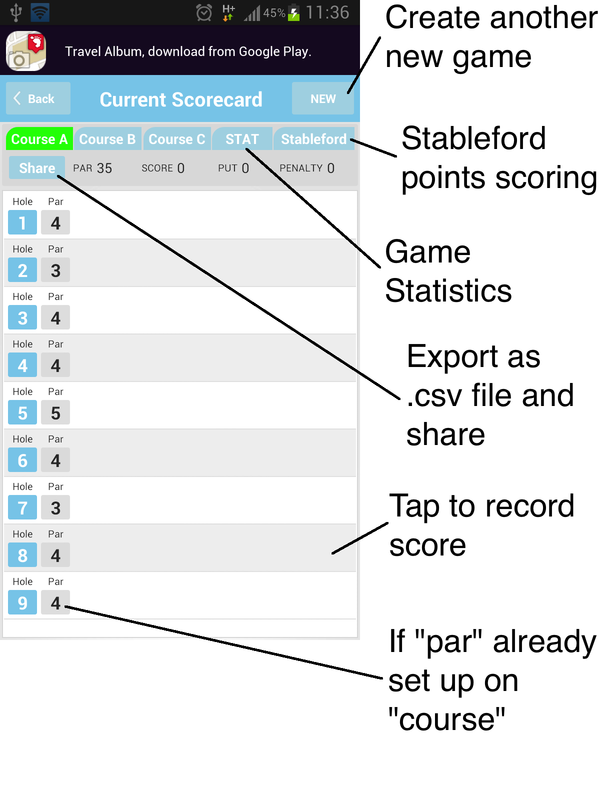 Tap on every hole "item" will go to RECORD-SCORE-SCREEN to record score.If "PAR" already set up on the game course, it will show up on the scorecard.On the other hand, when record score on RECORD-SCORE-SCREEN it will also update the "PAR" to the game "course". 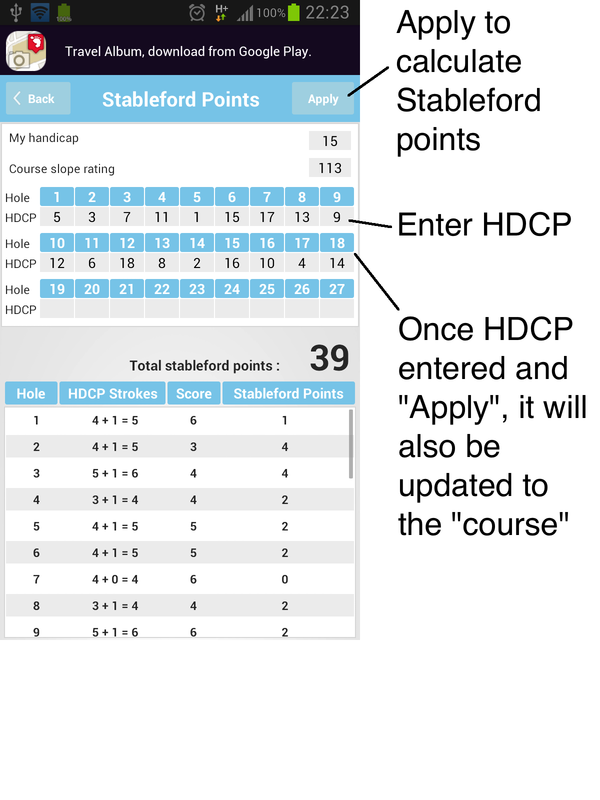 Enter your HDCP, hole HDCP and course slope rating and press "Apply" button.After hole HDCP is entered and "Apply", the hole HDCP is also updated to the game "course"(My Favorite Course). 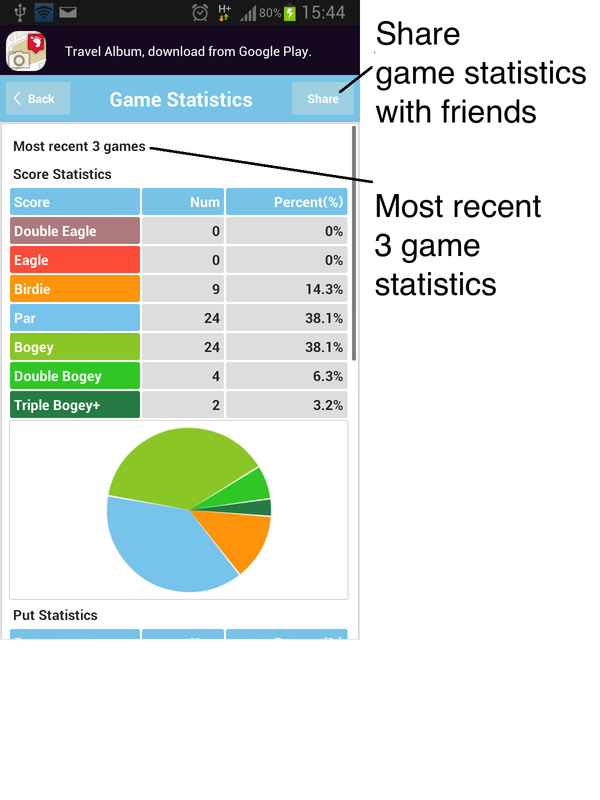 "Share", generate the game statistics (as a .png file) and share with friends via E-mail and so on. 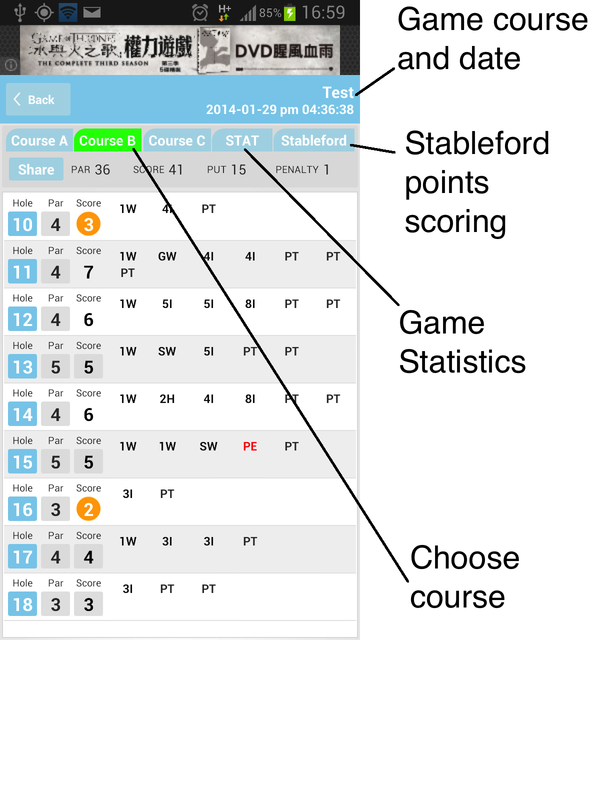 Press "Share"button can export score as .csv file and share via E-mail and so on.Tap on every hole "item" will go to MAP-SCREEN to review the shot path. 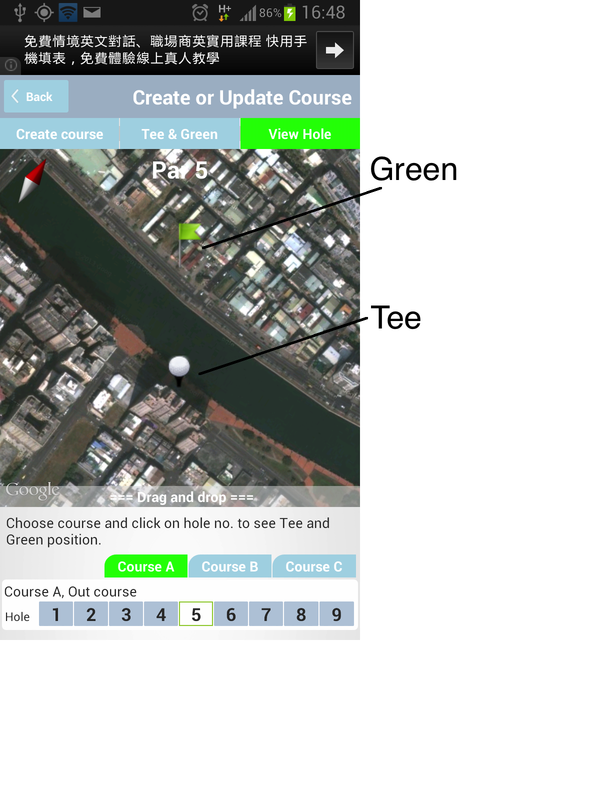 Select course and hole firstThen tap the Tee or Green button to set tee or green position. Once enter course name and press "Save" button, you create the course.Then you can assign PAR and HDCP for every hole at any time and press "Save" button to update course.But you can both "enter course name" and "assign PAR and HDCP" in the same time. Create another new course. 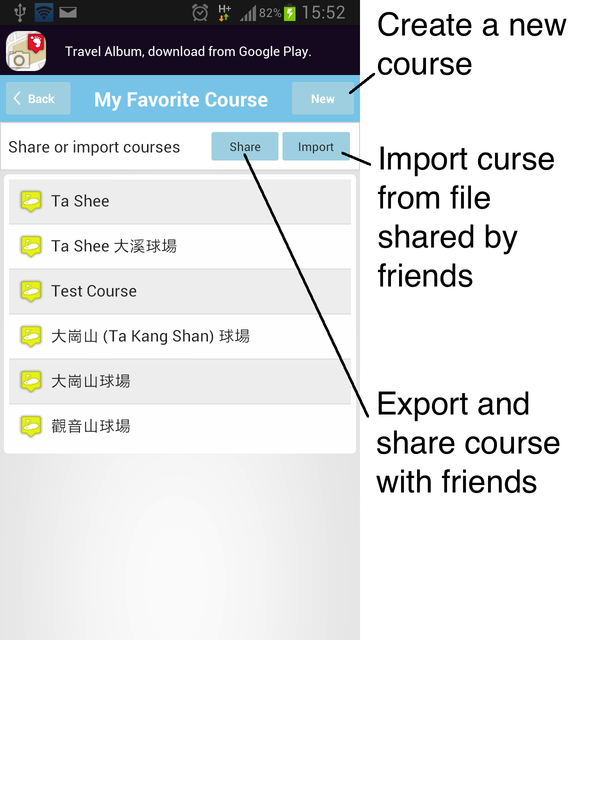 (course is identified by name and there is no two or more courses with the same course name)Export current courses (as one .course file) and share with friends via E-mail and so on.Import courses from file(the .course file) shared by friends.Long click on course item wil delete the course. Game Statistics from the most recent 3 games. 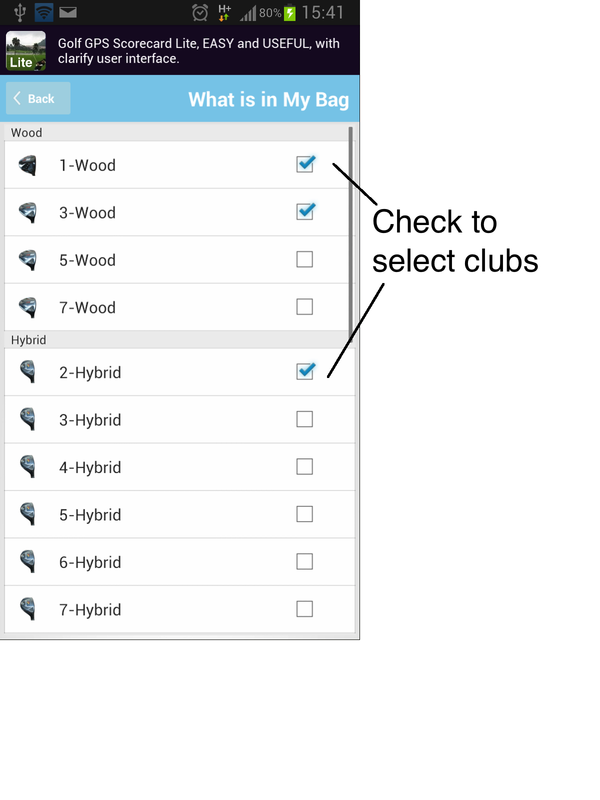 Before you can pick club on RECORD-SCORE-SCREEN, you have to set up "What's in My Bag" first. 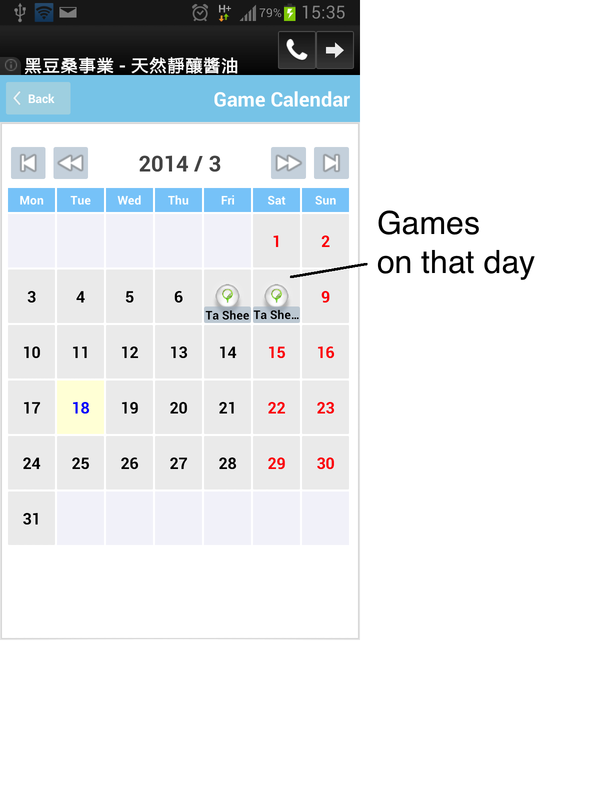 View games ever created .Click on that "day" game exists will go to GAME-LIST-SCREEN. 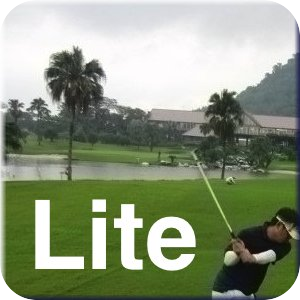 What's New (2014/03/19)My Favorite CourseCreate your own golf course. 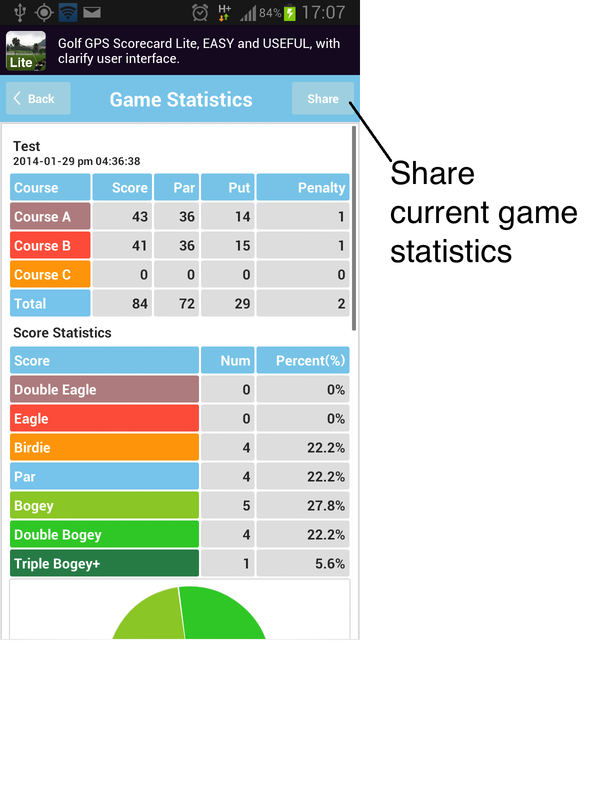 Export courses and share with friends Import courses shared from othersSupport for 27 holes course/game.Share Game Statistics(as .png file) with friends. 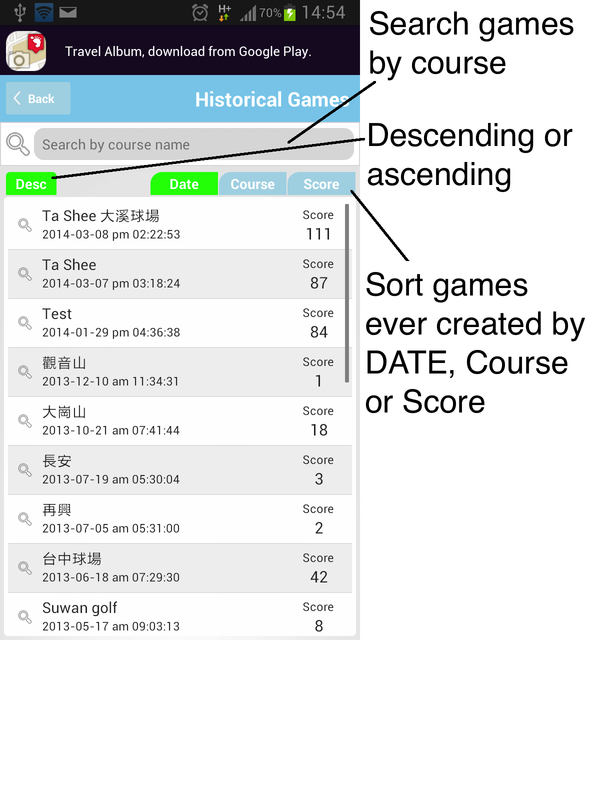 Search by courseSort by DATE, COURSE or SCORE, ascending or descending.Click on game item will go to HISTORICAL-SCORECARD-SCREEN to review the game.Long click on game item can delete the game. Create a new game if there is no game defined on that day.If there is games defined on that day, it will go to CURRENT-SCORECARD-SCREEN (use the most recent created game).